American Tank Company’s PW9000 complete ozone water treatment system ozonates, circulates, and filters the contents of your water tank 24 hours a day. For about $5 per month, you’ll transform your water supply into a clean, fresh, healthy, source of enjoyable water. Say "good-bye" to stained laundry, nasty odors, bad taste, and stained sinks and toilets with the all natural and chemical free PW9000! Enjoy the benefits of the latest water purification technology that is replacing the use of chlorine in city water systems worldwide. The technology of the PW9000 uses "ozone," which is activated oxygen purifying water without chemicals. Normal oxygen, in the air, is made of 2 atoms (O2), but ozone is made of 3 atoms (O3), which reverts readily and naturally to O2. As ozone gives up its extra atom, it oxidizes the contaminants in your water. In fact, ozone is 1½ times more able to oxidize contaminants than concentrated chlorine is. Yet ozone leaves nothing in the water but dissolved oxygen. The PW9000 is pure and safe! Call toll free today: 1-877-655-1100 to speak to one of our friendly and knowledgeable Ozone Specialists. This low cost and low maintenance patented system is unique, efficient, and durable without ever having to buy salt or chemicals. The PW9000 ozone water treatment system provides its own ozone with an ultraviolet ozone generator in the control box. The tank filter cleans easily with the included cleaning nozzle. The PW9000 automatically ozonates your well or spring water before it enters your tank by using a well-feed mixer without the use of pumps or guesswork. Once in the tank, the water treatment continues as ozone is continually bubbled into the water. Simple and reliable, the entire system installs in about one hour. Use one system for tanks up to 10,000 gallons, and multiple systems for larger capacity tanks. Ozone (O3), one of nature`s basic elements, is a very powerful disinfecting and deodorizing gas consisting of oxygen (O2) with an extra oxygen atom attached, therefore becoming ozone (O3). When oxygen in the air is exposed to high intensity ultraviolet rays, ozone is created (such as our sun creating the ozone layer). When ozone does its job, it oxidizes by giving up and attaching its extra oxygen atom to anything that can be oxidized. Once this process occurs, the ozone molecule becomes oxygen (O3 - O = O2). Thus, the only by-product of ozone is pure oxygen. In fact, ozone reverts to pure oxygen quite rapidly and naturally: The half life of ozone in air is on the order of hours and on the order of minutes when dissolved in water. Additionally, ozone dissolves over 12 times more readily into water than pure oxygen, then reverts back to oxygen, providing hundreds of times more dissolved oxygen in your water than could otherwise be possible. This high oxygen content of your water provides many of the same benefits made possible with the PW 9000 system. Municipal water companies have used ozone technology to treat large quantities of water for many years because of its effectiveness in purifying and conditioning water.American Tank Co. has selected Ozone Technology for use in treating well and tank water because of its unique properties. 1. Kills all coliform bacteria on contact, thousands of times faster than chlorine or bromine. 3. Kills fungus, mold and yeast spores. 5. 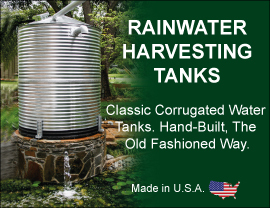 Removes excess iron, manganese, and sulfur by a process known as micro-flocculation, thus conditioning the water naturally without chemical additives. 6. Removes color and odor, leaving a pure, healthy water. 7. Reduces scale build-up on equipment such as pipes and water heaters, and staining of showers, sinks, bathtubs and toilets. 8. Ozone leaves no residue, it`s only by-product is pure oxygen.